Thirty-three years ago, our founder (and father) set out to build a company focused solely on delivering the best customer service possible. You could often hear him roaming the office offering advice, ideas, and words of wisdom on exactly how to deliver it. His love of educating people on how to become better people is the foundation on which our modern-day company is built. Now, we’ve come a long way since the eighties… just ask our Personnel Department. But one thing hasn’t changed, and that’s our commitment to you. We strive to consistently deliver an enhanced level of service through attention to detail, flexibility, creativity, quality execution, and a general love of helping people. It is this service model that delivers an enhanced return on the investment into your benefit program... one that not only improves the bottom line, but the culture of your business as a whole. A written statement of beliefs. A public declaration of intentions. 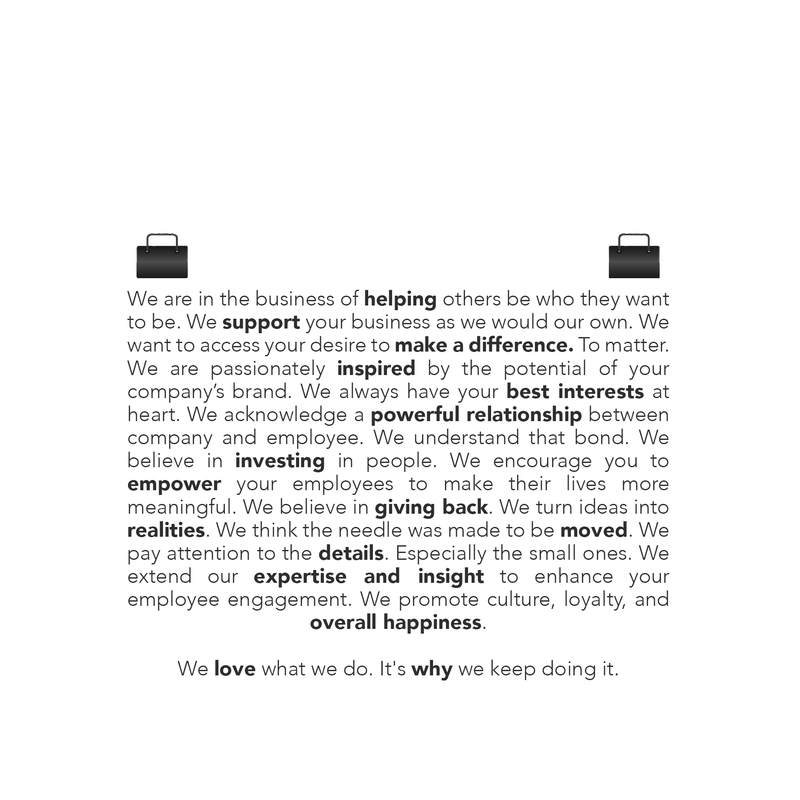 ​Our promise to our clients. Do you love employee benefits as much as we do?